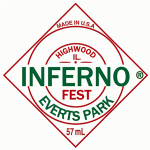 Taking place on June 26 during the popular Highwood Evening Gourmet Market, Inferno Fest will test the taste buds of the most daring food enthusiasts with the hottest and spiciest foods and beverages. The festival will highlight creations such as spicy pasta dishes, peppery nuts and popcorn, piquant tacos and salsa, hot wings, and much more! Live music and an array of unique fiery foods will create a fun and festive atmosphere. If you may be worried you can’t handle the heat after expanding your culinary horizons, have no fear. Kefir Kids will be on hand to rescue sweltering mouths with a glass of cold, cool down milk. For those not in the know, milk interacts with spices to cool taste buds in a way that water or soda cannot. Yes, we will have everyday non-spicy items for the “Along Came Polly” people too! For those adults who are really in for a challenge, the Inferno Fest Eating Contest is back. Not all who dared enter this competition in the past walked away the same ever again. This is truly a challenge for those with iron stomachs!! Free to all up for the challenge as long as you are 18 years old or older and sign our waiver. The rules are simple…whoever can eat the most “hot tamales” within a three-minute period, without calling for a Kefir Cool Down, wins a $200 gift card! 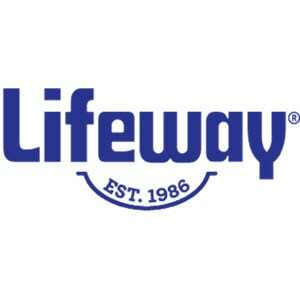 Competitors may enjoy Lifeway’s low-fat kefir smoothies, which are up to 99% lactose-free, gluten-free, and are packed with protein and 12 live and active probiotic cultures. Sign up at the link below. Bring your waiver with you or sign it at the time of the contest. All contestants report to the Celebrate Highwood booth 7:45pm prior to the contest.